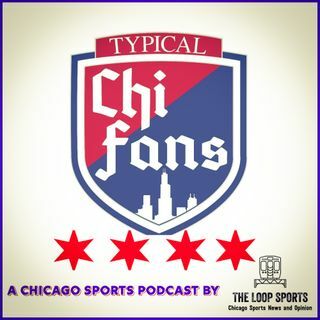 Big Z and Boomy are in the cave for episode 22 of Typical Chicago Fans presented by The Loop Sports. The boy's are very excited to welcome on Bartstool Chief to the show for a great interview about the state of the Blackhawks as they have been surging lately. Sinkers and Floaters lead off the show with the Hot and Not in the world today. Batting second is a Bulls tank report followed by a little MLB and Spring Training talk for both Chicago teams. Batting clean up is a very fun and ... See More insightful interview with the one and only Barstool Chief about the Hawks. To wrap things up, TCF Top 3 give you the boy's favorite three athletes in Chicago sports history.